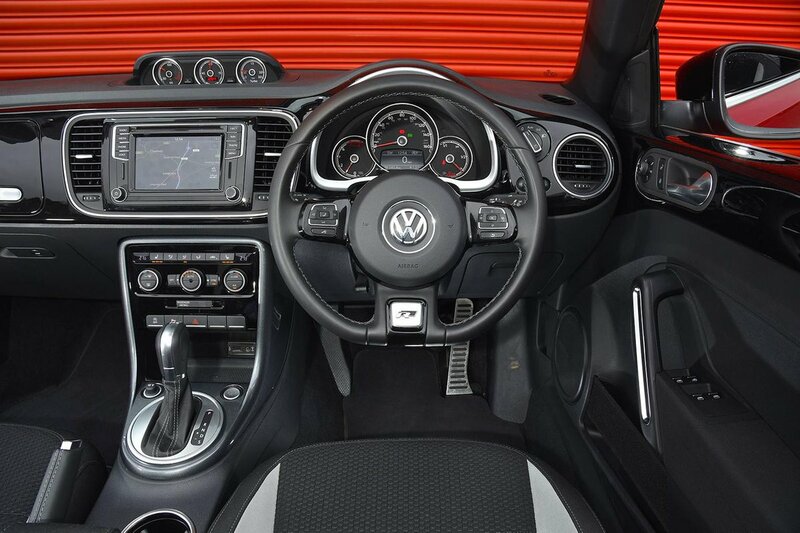 Volkswagen Beetle Cabriolet Interior, Sat Nav, Dashboard | What Car? 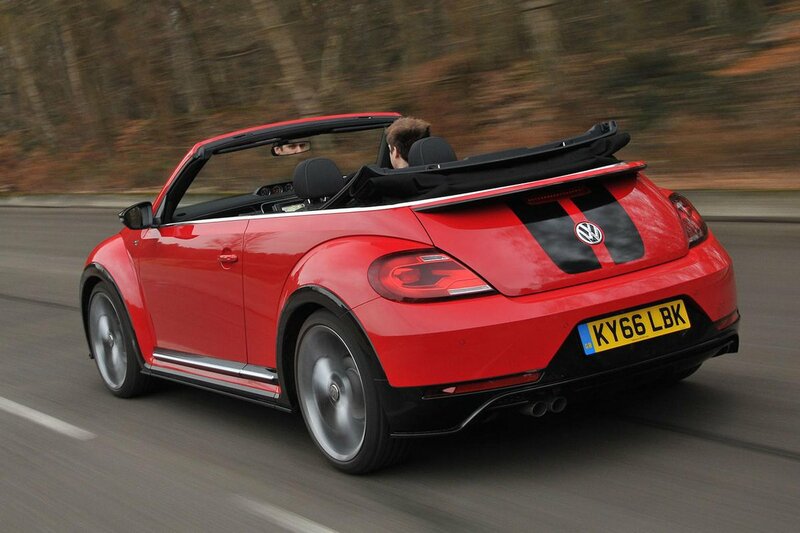 The Beetle’s driving position is good. You have to add lumbar adjustment to the lower-end trims (a very affordable extra), but the seats are reasonably supportive, and the pedals and pleasingly thin-rimmed steering wheel line up nicely. The dash is also logically laid out. A 6.5in colour touchscreen is the (standard) focal point across the range, with physical shortcut buttons to make it easy to jump between features, and straightforward menu layouts. Simple rotary air-con buttons and driver instruments are also easy to use and read at a glance. Visibility, however, is quite poor even by the lowly standards of this class. There’s a big blindspot to the rear three quarters that makes changing lanes a rather nervous affair, and you’ll want to add parking sensors (standard on the two upper trims) since it’s tricky to judge the car’s extremities during parking. 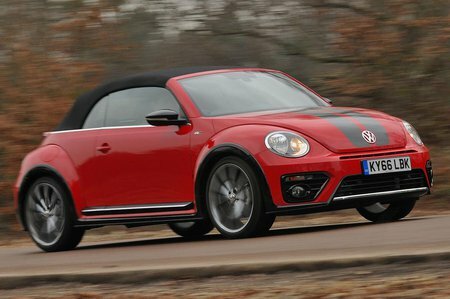 So, while the Beetle’s more conventional driving position and dash layout is easier to get comfortable with than the Mini Convertible’s, the Mini does offer slightly better visibility.